If any name is assigned in the DNS, then it is sure to be a domain name. The purpose of using the domain names is really easy to understand as the human brain is much accustomed to remembering a set of string than a set of integers. That’s why a domain name always represents an IP or internet protocol. While forming a proper domain name, there are some of the rules that we should remember. These rules basically fall as a part of the Domain Name Service or DNS. So let’s have a look at some of the rules that we need to watch out while setting up any of the domain names. Domain names are usually formed using some of the ASCII characters ranges from a-z, A-Z, 0-9. These are alphanumeric, case-sensitive characters. In some of the cases, you can also use hyphens if it’s a combination of character or digits. There are some of the limitations that you need to remember such as the combinations should not exceed more than 63 characters. The name of the domain should not exceed 253 ASCII characters. It should not contain any hyphen. Do You Need A Domain Name For A Website? The above question is pretty much fascinating for answering. Every IP address is different from each other. Therefore, The first point in order to prove the requirement of the Domain Name is that it provides a proper platform or the professional look to the website you are using. A domain name not only helps for branding purposes but also helps for security purposes. Any business websites require to register a domain name to protect the trademarks or the website along with the copyrights. While as a part of the marketing technique, it helps to build credibility and brand awareness. Apart from that, there are also some other points that we need to remember while using the domain names. A human brain is accustomed to remembering a set of characters more than a set of integers. Right now, there are thousands of websites and it is practically impossible to remember them. That’s why providing the domain name is very much important. How Do You Secure A Website Name? As we have already discussed that a domain name for any websites has many purposes. One of the main aspects of using the domain name is the security. Without proper security, it is impossible to have a secured website. So, let’s look at some of the security aspects regarding the domain name that you need to follow. Therefore, Use location-based keywords for the Domain name. If the business or the system you are having is at any specific location, then it would be better to use the location name in the domain.The second thing that you have to do is to register yourself as the owner of the domain name. In some of the cases, owners make a mistake by not registering themselves as the owner of their website. In some of the cases, it has been seen that ownership of domain may get stolen by the partner or subordinate, working under the owner. So, it is always better to follow this path. Last but not least, while using any of the domain, don’t forget to renew the domain name you are using. In case, if you are having a website of your own, then in some of the cases, you might forget to renew the registration of the domain name. Otherwise, you might end up losing the domain name as well as the website. What’s The Difference Between A Website And A Domain? While talking about the difference between a website and a domain, there are some of the aspects to look upon. Let us first start with the website. A website is a collection of the web pages on the world wide web. This collection of web pages basically remains on a certain domain name. In the other hand, domain is something that helps the website or the collection of the web pages to get intact. Without the domain name, it is impossible to have a running website. The domain name you are using works as the communication between the PC or laptop or any other system and the website you want to get access. According to DNS, it helps the user to remember any of the IP address available out there. So, as a conclusion, we can say that a website is a combination of a number of web pages whereas the Domain name makes the communication between the system and the website and provides security to it. How Do You Get A Website Domain? Getting a domain name to the website you are using is one of the most important processes to have a proper and working website. So, in order to have a proper domain name of the website you are using you may follow the process given below. The first thing that you need to do is to register the name you want to assign to the website with any of the official organization working in this domain. As an example, you can register the name with the ICANN through the domain name registrar. For this process, you have to pay an amount to that registrar. In order to avail all the services, you have to renew it periodically after a significant amount of time. In some cases, depending on the registrar you may have to provide the cost monthly or yearly. While registering the domain name, it is always better to avoid any of the web hosts. Domain Registration directly with any of the suitable domain names automatically makes you the domain owner. It is vital as in some of the cases we have seen that web hosts indulge in fraud cases with the main buyer. First, think of a good domain. Now, in order to buy that specific domain name, you must have a credit card or a PayPal for the transaction purposes. If you are having the web host, then obtain all the required information. In case if you are not having the web host, then you can allow the registrar to set up the website for you Accordingly. So, these were the proper process required for how to get a website domain. How Much Does It Cost For A Website Domain? If you are planning to start a website, then there are some of the requirements that you need to you need to be aware of. The first thing that you need to Buy Domain name which helps you to bring the website online. Depending on the domain provider, you may get the domain names. So, let’s go and have a look at some of the domain provider that you can find out there and the price required to obtain a domain name from them. 1 and 1- $0.99 to $2.99 in the first year and thereafter $14.99/year. 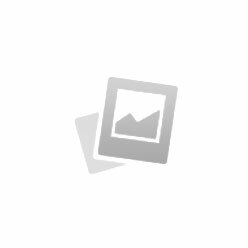 Doster- “.com” website names at $9.99/year. Name.com- Register your website with them for as low as $12.99/year. iPage- $9.99/year (.net) to as a high as $35/year. (.com) domains retail for $14.99/year. Apart from that, you should also keep an eye for additional hidden charges. Linux is not the only OS you can use to host a website (although it is the most popular). Any computer (Windows, Mac, or Linux) can host a website. All you need is a code compatible with that operating system, and to expose the port your website is on. Subsequently, You’ll need an always-on computer. This means your laptop (and probably desktop) won’t be good enough. You can find an old, cheap computer, put it in the closet, and keep it on at all times to host your site. Moreover, For users outside of your network to reach it, you need to forward port 80 on your router to the web server. This usually isn’t recommended for home networks, so make sure you know what you’re doing. This may violate your ISP’s terms of service. If you start to get notable traffic to the site, your ISP may drop or take legal action. Non-business internet service almost always disallows this. You’ll need to use a dynamic IP service. The IP address assigned to your home changes periodically, which is done by the ISP to protect you (for the most part). Dynamic IP addressing is less of a security risk (harder to track you, harder to attack a user, etc). To assign a URL to your IP, there are services out there that track your IP and dynamically update DNS, like DynDNS Accordingly. You’ll get attacked constantly. Now, these “attacks” aren’t usually very difficult to defend against since they’re just scripts looking for weak servers. If you enable SSH on port 22 you’ll see hundreds of attempts to log in from servers in China. So make sure you have a basic understanding of firewalls and security. It sounds like you really don’t want to spend the money to host a site, but you’ll take far more time setting up the server, networking, dynamic DNS, etc. Or you could just pay a couple dollars a month for someone else to do that for you. Can A Domain Name Have Special Characters? No, while selecting any of the domain names for the website you are using, you can’t use any special characters. Can You Use An Underscore In A Domain Name? No, you cannot use any kind of underscore for the domain name you are using. While choosing a domain name, there are some of the aspects that you need to watch out. 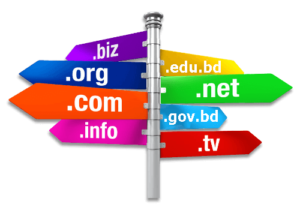 So, let’s go and have a look at some of the tips that you should follow choosing the domain name. The first thing that you should watch out is to select an easy name for the website. Try to keep the name a bit short while selecting it. Also, use some of the related keywords related to the website content for professional purposes. If the website you are opening is location-based, try to add the name of the location to the domain name. Apart from that try to avoid the number and the hyphens. So, these were some of the steps that you can try to choose a proper domain name. Can I Host A Website Without A Domain Name? Basically, the answer is yes, you can host a website without a domain. But there will come up some great issues if you don’t have any domain accordingly. Is Making A Website Free? Yes, if you want to make a website, it is basically free to create the interfaces. But after some time you have to provide some money to make it online. You can also bring your website online without paying anything by using the subdomains. But there can some of the critical issues that you might face. Can You Have An Email Domain Without A Website? Yes, you can create a professional email domain without a website. You can also do it with or without the web hosting. If You Are Getting Stuck Somewhere while performing Domain Registration Or any Other Issue Related to Domain Registration Get Domain Registration Support Connect with Us on Email info@robinhoweb.com. We are available 24 x 7 to Help You Best.